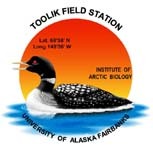 Adams, Heather E. “Controls On Bacterial Productivity In Arctic Lakes And Streams”. Ecology And Evolutionary Biology. Ecology And Evolutionary Biology. University of Michigan, 2010. http://hdl.handle.net/2027.42/75976.